Four members of the Syracuse University community have been selected by the New York Council for the Humanities for its New York Public Scholars program. Public scholars will travel around New York State for two years, giving presentations and leading public engagement workshops related to their individual research and/or issues of community concern. Those selected are Anne E. Mosher, associate professor of geography from the Maxwell School of Citizenship and Public Affairs and the College of Arts and Sciences; Sally Roesch Wagner, adjunct professor in the Renée Crown University Honors Program; Debora Ryan, Ph.D. candidate in cultural foundations of education in the School of Education; and alumna Freida Jacques ’80, who graduated from the College of Arts and Sciences. The four will take part in the council’s 2015-2017 inaugural cohort of 31 scholars in this new initiative. The program promotes vibrant public humanities engagement across New York State by offering a selection of dynamic, compelling presentations facilitated by humanities scholars, according to the council. The council will serve as a clearinghouse and underwriter for organizing and funding these appearances, which are intended to enrich local public dialogue, examine the human condition from a variety of angles and raise awareness about the relevance of the humanities to everyday life within the rise of the so-called Creative Economy. Any tax-exempt organization in New York State is eligible to apply to have a public scholar present at its event. The Public Scholars program replaces the council’s Speakers in the Humanities program. The new program puts a greater emphasis on providing a dynamic, engaging and interactive presentation formats. As an urban historical geographer, Anne Mosher is passionate about public engagement. Her research on infrastructure, urban planning, heritage tourism, and crisis and disaster management frequently puts her in contact with local public officials, planners, cultural resource managers, engineers and first responders. What really excites her, however, are interactions with “citizen scholars”—local residents who use their historical research, storytelling, writing, poetry, music, art and volunteer work as strategies to advance public conversation and enrich policymaking. She especially enjoys partnering with them on projects that bridge the so-called “town-gown divide” and looks forward to doing more of this kind of work as a New York Public Scholar. Mosher is an associate professor of geography at the University and a senior research fellow in the Moynihan Institute of Global Affairs at the Maxwell School. She holds a Ph.D. in geography from The Pennsylvania State University, has had a book about urban planning history published by Johns Hopkins University Press and has penned peer-reviewed articles for her discipline’s leading journals. The National Geographic Alliance of Geography Alliances and the Pennsylvania Historical and Museum Commission have recognized Mosher’s public outreach work on both geography and social studies education. She is a past winner of the Association of American Geographers’ J. Warren Nystrom Award for outstanding doctoral dissertation research. Her Public Scholar presentations are “New York Memories Online: What Family History Enthusiasts both Near and Far Can Teach Us about the Empire State” and “Mapping <Insert the Name of Your Neighborhood/Town/City Here> Memories: A Community Storytelling Workshop.” The descriptions can be found here. History becomes as fresh as today’s headlines when veteran women’s studies Professor Sally Roesch Wagner takes the podium. The historic struggle of activists to create a just and free society resonates anew, enlightening and inspiring audiences of all ages to carry on the work. The unexpected story of friendship between Native Americans and settlers, about which she has written extensively, and the First Nations modeling of a superior life style has influenced the United States, she demonstrates, from democracy to feminism. Wagner is the author of numerous women’s history books and articles telling the “untold stories.” Her publications range from pioneer women to suffragists Elizabeth Cady Stanton and Matilda Joslyn Gage. Awarded one of the first doctorates in the country for work in women’s studies (University of California at Santa Cruz) and a founder of one of the first college-level women’s studies programs in the United States (California State University, Sacramento), Wagner is an adjunct faculty member in the Honors Program. She wrote the faculty guide for “Not for Ourselves Alone,” Ken Burns’ documentary on Elizabeth Cady Stanton and Susan B. Anthony, and appeared in that film and other PBS women’s history programs. Wagner was selected as one of “21 Leaders for the 21st Century” by Women’s E-News in 2015. Founding director of the Matilda Joslyn Gage Center for Social Justice Dialogue in Fayetteville, N.Y., and author of articles on historic house museums, she received the Katherine Coffey Award for outstanding service to museology from the Mid-Atlantic Association of Museums in 2012. Her presentations are “The Rest of the Story of the Suffrage Movement,” “A Woman Presidential Candidate—in 1884” and “Women Voted in New York—Before Columbus.” Descriptions of the presentations can be found at this site. Debora Ryan has been working in the museum field for more than 20 years, most recently as senior curator at the Everson Museum of Art in Syracuse from 2003-2013. During this time, she curated more than 100 exhibitions, including “The Other New York: 2012 (TONY: 2012),” a 14-venue, community-wide collaborative exhibition and catalog featuring 55 artists from upstate New York, and authored numerous museum publications. An active member of the local and regional arts community, Ryan routinely juries exhibitions, participates in panel discussions and has served as a peer reviewer for the New York State Council on the Arts’ Museum Grants Program. She holds a B.A. in studio art and photography from Nazareth College, in Rochester, N.Y, and an M.A. in art history from Syracuse University, where she is currently pursuing a Ph.D. in cultural foundations in education. Her research interests include the history of museums and museums as sites of public memory. Her dissertation examines the history of Sainte Marie among the Iroquois Living History Museum, a modern replica of a 17th century Jesuit Mission located in Liverpool, N.Y., that is currently being re-purposed as a Haudenosaunee (Iroquois) educational center called Skä•noñh, The Great Law of Peace Center. Ryan presented at the 2014 Indigenous Perspectives on Museums Symposium at Syracuse University, and the “Local People: Exploring Identity, Economy, and Place” Graduate Student History Conference in 2015. She will also be presenting at the History of Education Society annual meeting in St. Louis this fall. Ryan has taught courses in the history of photography, history of design and museum studies at Syracuse. She is a part-time faculty member in the Museum Studies department at Wells College, Aurora, N.Y. Her Public Scholars presentation is “Our Museums/Our Memories.” A description of the program can be found at this site. Freida J. Jacques ’80 is an Onondaga and lives on the Onondaga Nation, one of the nations of the Iroquois Confederacy, south of Syracuse. For 20 years she has worked as a home/school liaison at the Onondaga Nation School. Freida has served as a bridge between her culture and many educational institutions across New York State. She has been a leader in her nation for 40 years, and peace and healing are subjects she is passionate about. 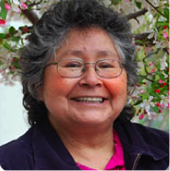 Her presentations are “Haudenosaunee 101,” “Three Lessons Offered in Peace” and “The Honorable Harvest.” Information on her presentations can be found here.